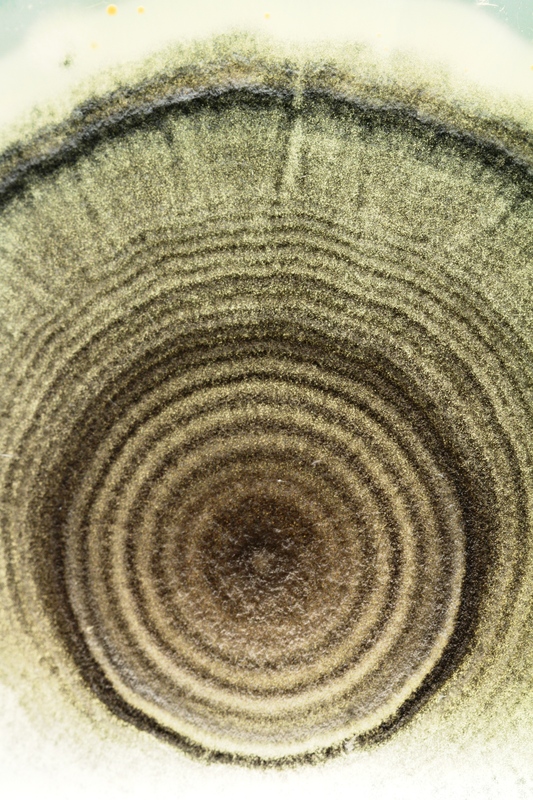 The large fungal colony here is now over four months old and it clearly shows some of biological clock at work. 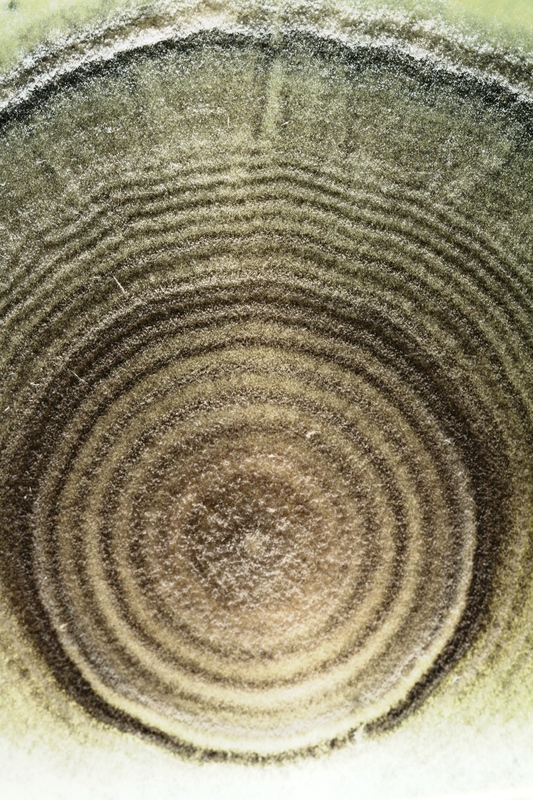 The mould exhibits some form a periodicity, not unlike the rings that we might find when a tree is cut down, but the fungal rings here develop over a much shorter time period. I can vary the “tick” of the clock by changing the temperature as evidenced by the larger outer ring. Looks a teensy bit like one of those J-PG bras Madonna wore on whichever tour it was tee hee. But very, very interesting. Are you back, then?